Bigger Families in India need SUV with more space , power and comfort.We have got some of the best 7 seater cars in India which are loaded with these abilities including a stylish look.You can buy these bigger space cars by spending a little more than the ‘typical’ small family cars. Check out these best seven seater SUV cars for a bigger family in India at the moment. 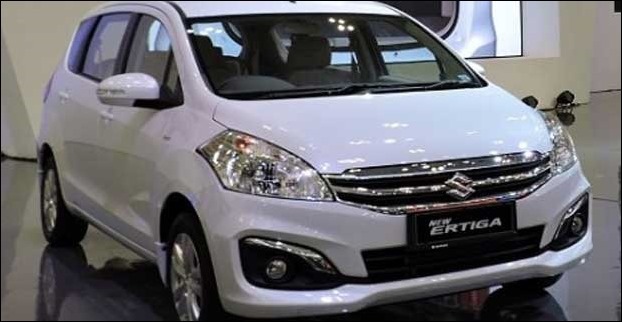 The ex-showroom price of the Maruti Ertiga ranges from Rs 6.19 lakh to Rs 8.72 lakh. 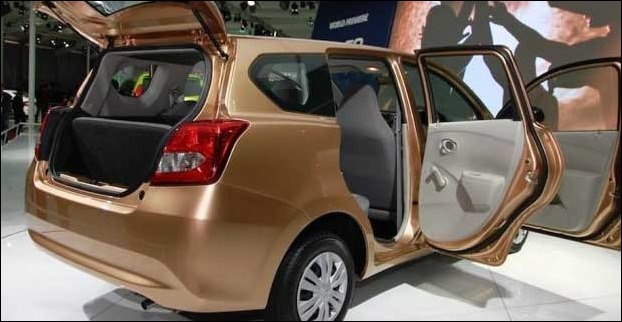 This flexible seven seater car comes with black and beige interior which look decent. The Maruti Ertiga has 50:50 split third row seats and the second row seats can slide all the way back easily. There is full functioning seatbelts in the third row seat. Besides, the boot space capacity of the Maruti Ertiga is 135 liters. The car comes with push start and stop button, keyless entry, retractable ORVMs, reverse parking camera, touchscreen system, satellite navigation, Bluetooth connectivity, USB and Aux-in. 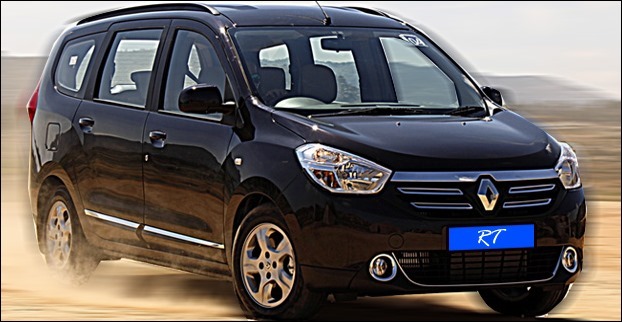 The Renault Lodgy is a very comfortable SUV that comes with a starting price of Rs. 8.55 lakhs. The price is ex-showroom, Delhi. The Renault Lodgy is offered in seven seat or eight seat variants. The seats of the car are full sized and offer good under thigh support. The car has extremely spacious cabin because of its class leading wheelbase of 2810 mm. Moreover, the second and third row of the Renault Lodgy has smart sense AC, that ensures efficient cooling in all third rows. The car also offers adequate headroom, leg room and shoulder room. The Renault Lodgy provides boot space of 207 litres. The starting price of the Chevrolet Enjoy is Rs 6.52 lakh. The price is ex-Showroom, Delhi. In fact, it is one of the most spacious SUVs that comes with seven seat and eight seat seating configuration options. The Chevrolet Enjoy offers door armrests on first and second row seats. At the same time, the front row seat has back pockets. The second row seat has good thigh support and may be moved back and forth. 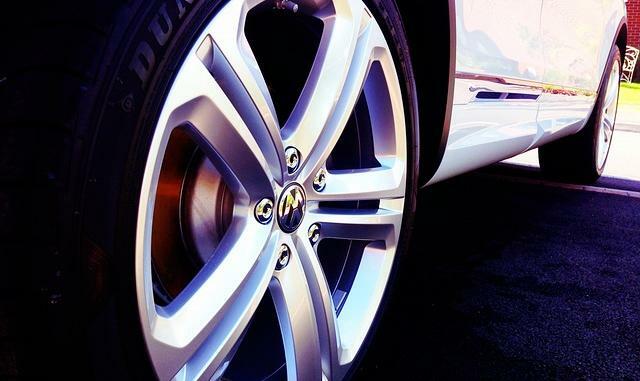 On the plus side, the Chevrolet Enjoy provides segment leading headroom space and legroom space. The Chevrolet Enjoy is loaded with plenty of features like front and rear power windows, power steering, front and rear air conditioning, 12V power outlet, integrated audio system with Radio, CD Player, MP3, Aux and USB connectivity. In addition to this, the car also provides generous boot space of 195 litres and a glove box. 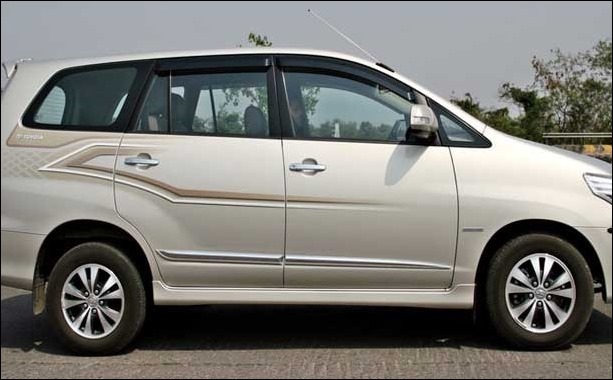 Toyota Innova Crysta was introduced in 2016 as a 2nd generation successor to Old Innova which was first launched in 2005.The price of the Toyota Innova Crysta begins from around Rs 13.52 Lakhs.This seven seater mpv’s has kept its premium look intact like the old Innova and now has added styling updates to the exterior and interior.It is now available in 2 engine type 2.4 litre and 2.8 litre with 5-speed manual/6-speed Automatic transmission availability.These engines output 148 bhp/173 bhp power respectively. Talking aout safety features , the new Innova comes with 3 airbags, ABS with EBD.Toyota Innova Crysta is like the classic Innova is endowed with a boot space of 300 liters as well. The price of the Datsun Go Plus ranges from Rs 3.88 lakh to Rs 4.96 lakh. All prices are ex-showroom, New Delhi. This seven seater car comes with bench seat that provides more head room, shoulder space and leg room in the front. The second row seat of the car is foldable and the third row seat is simple. The seats of the Datsun Go Plus are wide and comfortable. In addition, the car has 347 litres of boot space, when the third row seat is folded. The Datsun Go Plus offers power windows, power steering and tubeless tyres. The ex-showroom price of the Honda Mobilio starts from Rs 7.18 lakh and goes to Rs 12.85 lakh. This stylish seven seater car offers good head room, leg space and shoulder space and the second row seats of the car are adjustable. The third row seat is better for kids. Moreover, the Honda Mobilio gets steering mounted audio control, USB, Aux, I-Pod, DVD/CD, AM/FM, Bluetooth, navigation and flexible luggage space. The estimated price of the Tata Hexa is Rs 13 lakh – Rs 18 lakh. The SUV is a six seater, though it may also come with a seven seat configuration. The car features all black interiors and leather covered captain seats. The cabin of the car is spacious and comfortable. Besides, the Tata Hexa offers adequate head room, leg room and shoulder room. The Tata Hexa gets three-spoke multifunctional steering wheel, LED illumination, Harman touchscreen infotainment system, automatic climate control, 12V power sockets, mood lighting and so on. 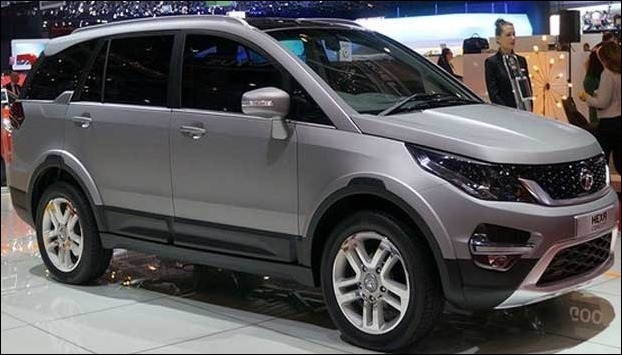 Mahindra Xylo whose price starts around Rs 9.0 Lakhs (Ex Showroom Delhi) is an ideal 7 seater preference of large Indian families.Additionally , Xylo also comes in 8-seater and 9-seater options. There is ample space for passengers in third row in this spacious suv.Its 400L boot space and cubby holes like front seat pockets, cup holders and door pockets is enough to get you impressed. Its variants are available in mDI CRDe and mHawk engines producing 95PS (218Nm torque) and 120PS(280Nm torque) power.The engines have displacement capacity of 2489cc and 2179cc respectively. One of the best 7 seater option in D segment , Mahindra XUV500 , price starts from Rs. 12.78 lakhs. 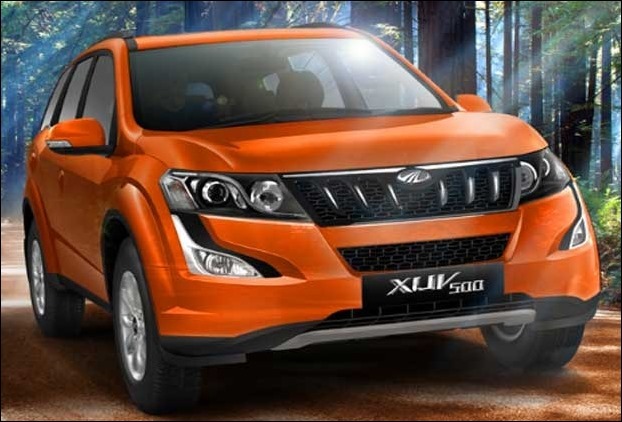 Introduced in September 2011, Mahindra XUV500 has consistently received styling updates and new features. 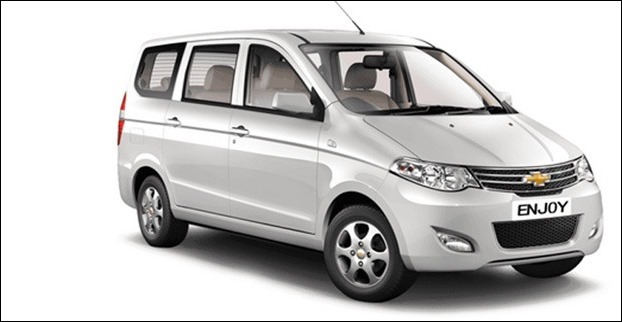 This Mahindra’s popular 7 seater is now available in both diesel and petrol turbo-charged.versions.Its petrol engine is based on the same diesel block unit i.e. m-Hawk. The 2.2-litre motor outputs 140hp of power and 320Nm of torque.Xylo’s 2.0 L 4-cylinder diesel engine also produces same 140 BHP of power.The suv comes in two transmission types five-speed manual and six-speed automatic unit.Last year XUV 500 was launched in a new variant-W9 with modern updates. The XUV500 is offered in both 4X2 automatic and 4X4 automatic capturing a wide audience. Mahindra NuvoSport with reworked fascia and some design tweaks is a successor of Mahindra Quanto.Its price starts from 7.77 lakhs and goes upto 10 lakhs for N8 AMT model.The BS4 Diesel Engine with 2-Stage Turbocharge has 1493 cc displacement and produces 100 BHP power and 240 Nm torque.The transmission types available in Nuvosport suv is 5-Speed Manual and 5-Speed AMT. Its split headlamps and eye-brow shaped DRL led lights gives it a different front look.A wide vertical slate grill and scoop on the bonnet reflects a powerful visual appearence.The suvs 412 L standard bootspace is impressive. Launched in 2015 Mahindra TUV300 another popular 7-seater in India currently offered in 7 variants.TUV 300 ex Show room (Delhi) price ranges from 8.12 lakhs to 10 lakhs. 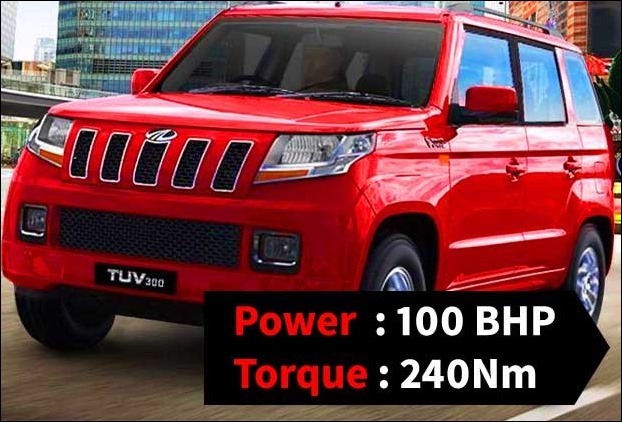 The 1493cc mHawk80/100 Common rail, Twin-turbo engine outputs 84BHP power in TUV300..M&M in 2017 also introduced high-end ‘T10’ variant of the TUV300 at a price of Rs 9.66 Lakhs. Its AMT variant engine produces 81 BHP while top variant T8 outputs 100 bhp power. Another best option in 7 seater suv in India is Honda BR-V.This country’s first seven-seater compact SUV has excellent interiors and impressive specifications and is available in both petrol and diesel fuel options.Its petrol versions Ex Showroom price (Delhi) falls between 9.21 lakhs to 12.48 lakhs while diesel version price is between 10.16 lakhs to 13.38 lakhs. 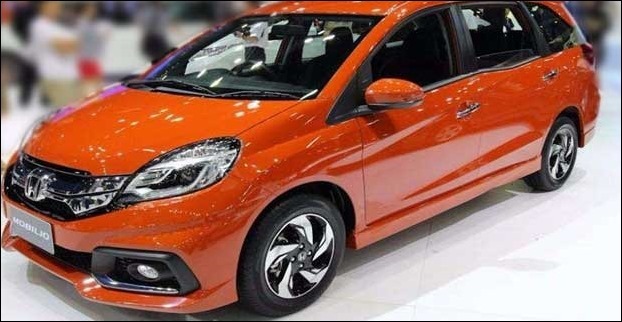 Honda Brio uses extended Brio platform used by Mobilio as well.It comes with 1.5L i-DTEC diesel engine (100PS output) with 6-SPEED MT delivering 21.9 km/l.The 1.5L i-VTEC petrol engine comes with two transmission options – the light weight 6-speed Manual Transmission (MT) and Continous Varaible Transmission (CVT).